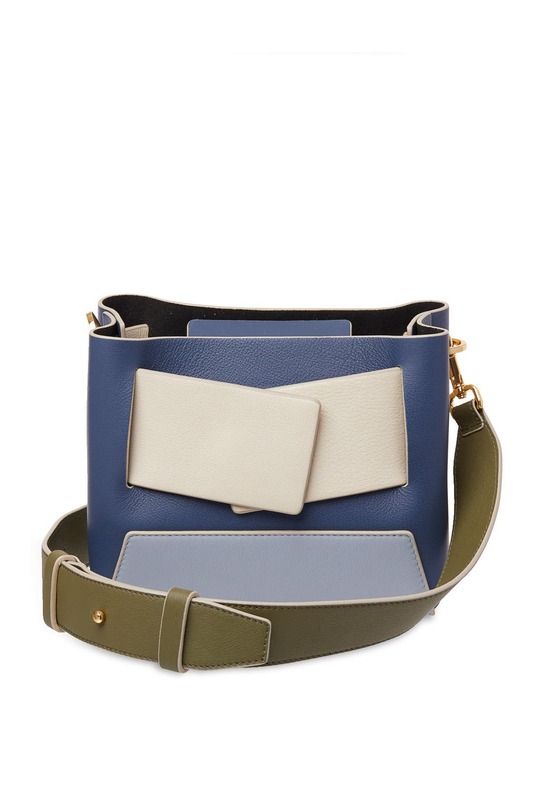 A belted panel and boxy silhouette add modern appeal to this Yuzefi crossbody bag. 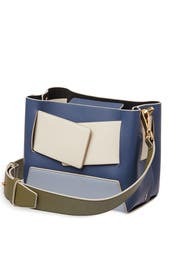 Navy leather shoulder bag with contrasting front panels and strap. Magnetic top closure and patch interior pocket. 12.75" strap drop. 7.5"H x 10.75"L x 5.5"D.